Guided by satellite, this is an advanced and complete automatic pilot system. Keeps the machine on the exact route, avoiding gaps or overlaps. 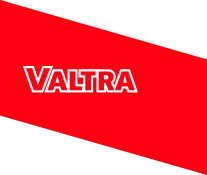 This is the proposed technology solution that Valtra offers for its tractors in the BT and BH lines, axial harvesters and sprayers: Auto-Guide 3000. Guided by satellite, this is an advanced and complete automatic pilot system that aims to reduce costs and increase crop productivity, as well as reducing operator fatigue, allowing your attention to be directed only to the operation being performed. Representing superior technology, Auto-Guide 3000 provides very high ease of use, with simple and intuitive navigation. The new C3000 12.1” touch-sensitive monitor, which simplifies making adjustments and settings, is one of the great advantages of Auto-Guide 3000. Complete and intuitive software ensures that a high level of convenience is achieved during field operations. 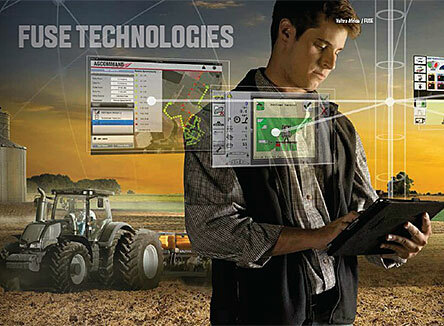 Sprayer control functions and automatic cutting of sections are integrated into the same monitor. The operator can view more than one reference line in the same work, write all lines traversed during operation to a single file and guide the machine using a project in SHAPE format. All this is achieved using a feature developed specifically for work with controlled traffic. The operator also has the option to manipulate the paths previously planned in the office through the monitor itself. Thus, it is not necessary to create a project for each operation, since a single file can be used for all stages of cultivation, allowing the operator to perform the path adjustments from the machine directly, according to the operation to be performed. The advanced features are recommended for work in both sugar cane and grain crops (primarily where the controlled traffic system is used). Reports and shape files can be exported easily.